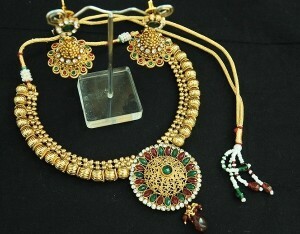 Looking for some traditional necklace sets to suit your Indian dresses? 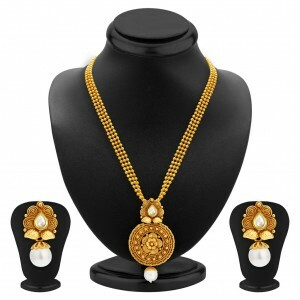 Come to our store and browse through some excellent collections of Khundan style necklace sets online at prices that will pleasantly surprise you. 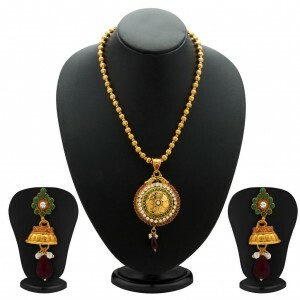 Shop during important festivals and get exciting offers on these pieces. 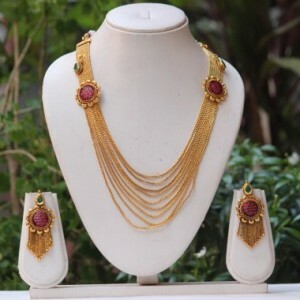 In addition to these, you can also find trendy fashion necklaces made from precious and semi-precious stones, which you can mix and match with your wardrobe. 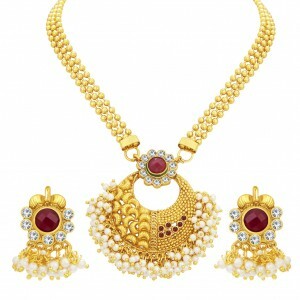 STUNNING NECKLACE SET WITH PEARL BEADS. 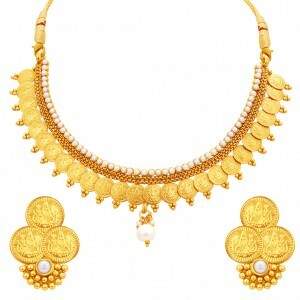 It’s quite evident that women always want to be decked up pretty well. 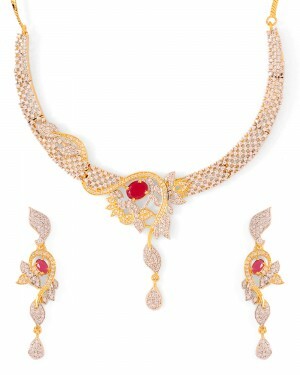 Nothing other than beautiful necklace will do the talking for them. 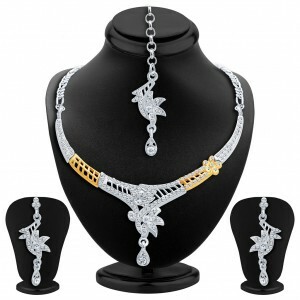 Necklaces are interesting piece of accessory that can make or break your outfit. 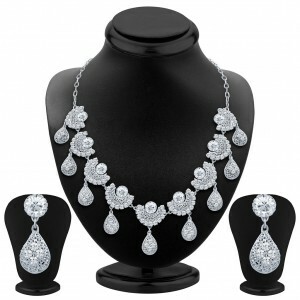 Necklace sets are statement jewelry that when worn perfectly compliments the outfit well. 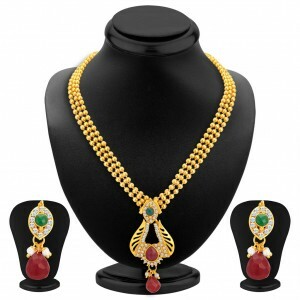 Necklaces bring in gracefulness to women. 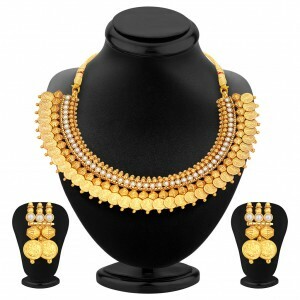 There are different types of necklaces such as choker, princess, hoop, beaded, and heavily studded with stone. 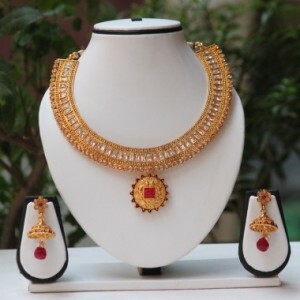 Necklaces are worn according to the apparels. 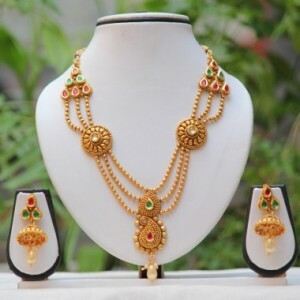 An ethnic outfit can be completed with an intricately designed and heavily studded with stones or sapphire necklace while a western outfit can be complimented with a single chain pendant necklace. 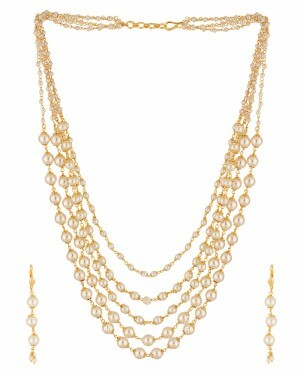 Fashion necklaces are the new trend. 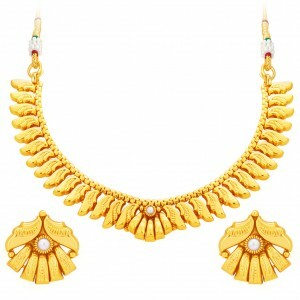 A chunky and quirky piece of necklace will strike the chord and make you look chic and classy. 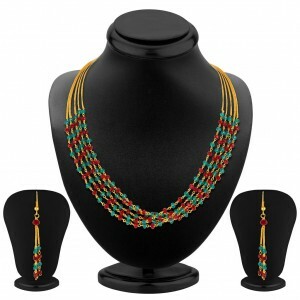 Glance through High5store’s amazing collection of necklaces for girls which has eye-catching designs and patterns. 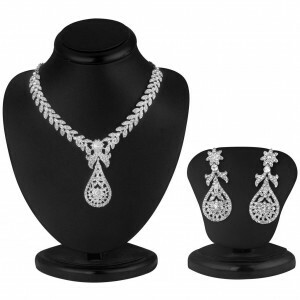 The chiseled necklaces available at High5store includes single chain pendant necklaces, crystal necklaces, gold plated stone studded necklaces, silver necklace set, beaded necklaces, row strand necklaces, and many more. 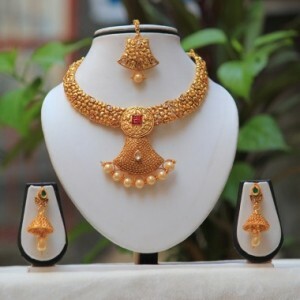 With online jewelry portals giving a plethora of options, it has become quite easy to choose that one necklace that suits you perfectly. As the fashion trends are constantly changing, the tastes and preferences are also changing. 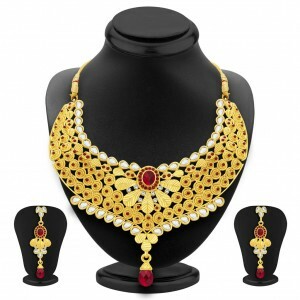 There are loads of options to choose through shopping necklace sets online and enhance your look.